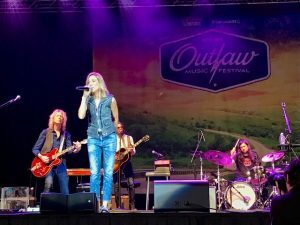 Camden, NJ – BB&T Pavilion in Camden, NJ was lit up September 17th at Outlaw Music Festival with some of country music’s youngest and most legendary musicians performing for a eager summer concert series crowd of fans. Blackbird Presents put together opening acts including Lukas Nelson and promise of the real particle kid, Nathaniel Rateliff & the Night Sweats, The Avett Brothers, Sheryl Crow, Eric Church and Willie Nelson and Family. This is the second leg of the 2017 “Outlaw Music Festival Tour” and this once in a lifetime experience show ranges from up and coming to great music and attractions that provide music fans in each city with an unforgettable concert experience. Summer concerts define the times and this collection of artist working in collaboration and solo acoustic sets was well received by this sold out NJ crowd. Highlights from the show Lukas Nelson putting on a strong set then to join legend Willie Nelson as lead guitar, Sheryl Crow having fun with her crowd playing #1 hits from the last 25years of her career. 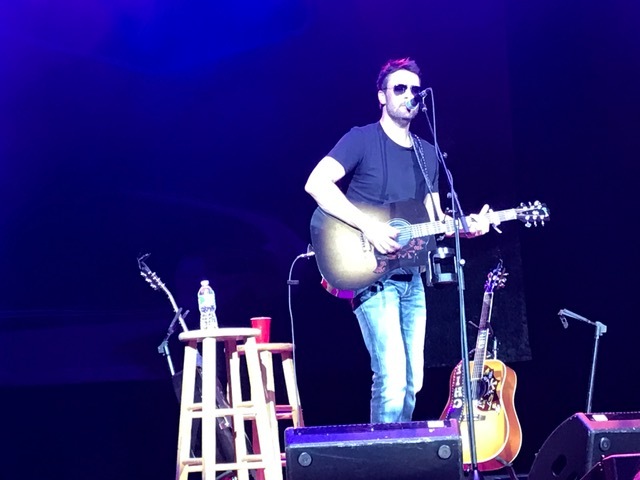 Country music breakout star Eric Church gave a 2 hour acoustic set that had the crowd chanting and singing along to his chart topping hits. 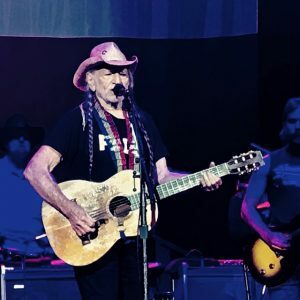 Willie Nelson and Family closed the show with many of Willie’s young country talent joining him on stage as well as family members on piano and drums. The charity work with farm aid and helping to bring awareness to “deleting blood cancer” was in a strong force in the marketplace setup at the festival. 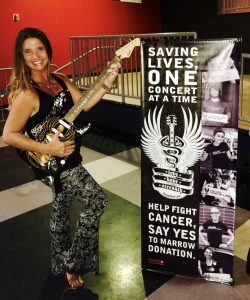 All artists signed the guitar for auction an electric Fender Squire to bring attention and spotlight campaign of non profit DKMS which highlights bone marrow replacement to help in the eradicating of blood cancers and blood disease like leukemia.